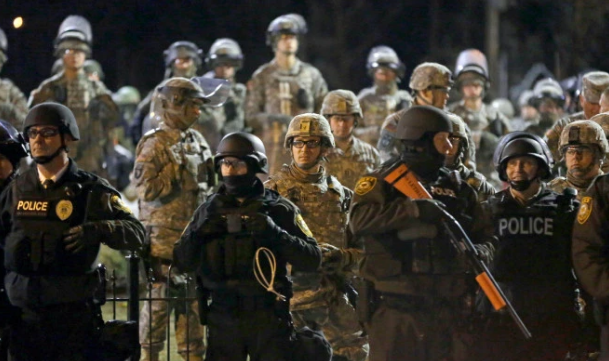 No one becomes an officer wanting to use excessive force to detain or apprehend people. But in the course of doing their jobs, officers often have to make split-second decisions — decisions that will protect the public, to prevent a suspect from evading justice, or even to protect themselves. Decisions that are sometimes replayed and evaluated long after the initial incident has taken place. 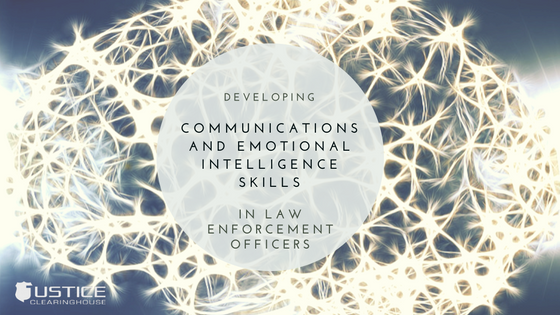 In this online, recorded webinar, attendees will gain the tools and understanding to differentiate between situations where deadly force or non-deadly force options are appropriate. We will also identify the range of options in the use of force available to officers. Justice Clearinghouse Editors (JCH): Let’s start with some basics – when you use the phrase, “use of force,” what do you include? Jeff Fox: Before answering this question, it is critical to lay a foundation for this discussion. I think it is improper and unwise to discuss “use of force” without coupling this phrase or topic with another topic. “Officer survival” should always be the first part of this discussion. I would add to this the protection of other people. Another term that should be synonymous with officer survival is “defensive tactics.” When citizens and officer come into contact there should never be a use of force. The use of force is extremely rare when one considers the millions of contacts police and citizens have every year. The use of force is or should only be the result of an offender who decides, for whatever reason, to resist arrest, assault an officer, or assault another person. There are rare occasions where the use of force was improper, excessive, or not justified at all. that are supposed to bind society together. The use of force is any force involving physical contact with someone beyond merely grasping or taking hold of the person to restrain him or her. The use of force is also the deployment of a weapon or instrument which would make some sort of contact with the offender. It would not include the mere presence of an officer, verbal commands or instructions, or even taking hold, or grasping, a person during normal arrest and handcuffing procedures. striking an offender with your body in any way or with a baton or other instrument. physically controlling the offender in such a manner that would result in any injury or complaint of injury. This might include having to use a come along technique or take down maneuver. the use of other weapons or devices such as oleoresin capsicum (OC) spray, Tasers, bean bag deployment, foam, etc. being bitten by a police canine. Jeff: Half the battle might be won by two things. One is the officer’s mere presence. Does the officer look and come across as professional and serious yet reasonable and rationale? Does the officer display a command bearing? The second half of this first impression is what the officer says or does and how it is said. Is the officer firm yet polite? Is the officer taken seriously? Offenders will quickly size up an officer. Of course, any offender who decides to take on an officer and or resist or attack is not being rational. This could happen for many reasons and often involves alcohol, known as liquid courage, or other substance use. It might be a mental issue or just a plain lack of respect for the law. It might be the person is wanted, in the commission of an active crime, or is trying to escape arrest. The person might be acting out of anger over what is perceived as an unjust act or response by the police. 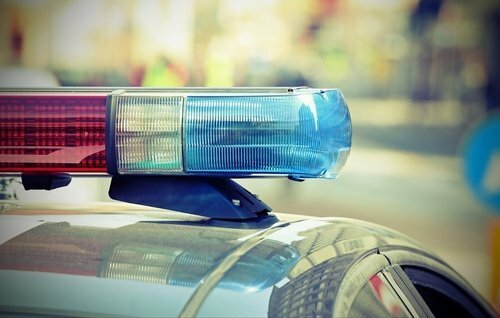 The officer should make every reasonable effort to always de-escalate an incident. This goes back to mannerisms, words, and deeds. However, an officer has a job to do. An officer might be able to wait for help or better circumstances before taking action but often this is not an option. The officer cannot shirk his or her official duty because the offender might not want to cooperate. It is good to have help on the scene before taking action. It is also good to try and reduce the tension and de-escalate if and when possible. Often these events occur within a matter of seconds. Officers are trained to use only that force necessary to overcome the resistance and effect the arrest or stop the threat or assault if you will. What would be ideal is if all of society respected the law and norms that are supposed to bind society together. However, this is not always the case. Having a rapport and level of trust with the community goes a long way. It does not guarantee that a small number of offenders will operate within this accepted social framework. What it might help is to keep the community from exploding when a use of force does occur. JCH: You’ve worked with thousands of patrol officers over the years. The use of force has become a heightened, very sensitive topic in recent years. How has this changed the discussion of use of force in the law enforcement community? Jeff: The police are more professional and better trained and equipped than they have ever been. This has always been a real and sensitive issue. Some elements of society appear to have digressed into a state of near lawlessness. I would argue we have seen this throughout history even in the U.S.
Two things which have changed the dynamic of police and citizen encounters involve technology and media coverage. Everyone has a cell phone and videos are constantly capturing police-citizen encounters. What is often missing from these videos is the whole story. Unfortunately, some people will use these videos to add fuel to the fire and even go as far as not showing the video in its entirety. Often the video only partially captures the entire story. The second part of this new equation is a media which can often be biased. At best, the media often does a poor job telling the entire story for many reasons ranging from a lack of professional journalism, biased agendas, being rushed, not getting the entire story, to only using sound bites for time sake. Add to this, we have seen some politicians and community leaders exaggerate and jump to improper conclusions by either not taking time to learn the facts or just ignoring the facts on some use of force cases. There are, unfortunately, on rare occasions an improper or wrongful shooting or other use of force. These must be dealt with either administratively, civilly, criminally, or a combination of these alternatives. The vast majority of these cases are proper uses of force. Sad as it is that someone had to be shot or wounded, the reality is offenders choose to resist or assault officers or others. Put another way, the officer had no choice but to use force to protect him or herself or others. JCH: You’ve spent decades researching and working with the law enforcement community. What drew you to this line of work –and in particular, what drew you to the challenges of discussing use of force for officers? Jeff: I went into this line of work shortly after high school when I became an MP. From the onset, I was trained in the proper use of force. Also, from the onset, there have been many times over almost three decades where I had to use force. There have been many times where I was assaulted. There have been a great many times where the offender chose to resist arrest. Beyond my own experience of having to use force and having had force used upon me by assailants, I have led many officers who were assaulted and had to use force. This created a twofold response. I visited my injured employees in hospitals. I saw some have to retire early and carry their wounds with them for life, and I have been to officer’s funerals who were killed in the line of duty and carried their caskets as well. The flip side of this was I had to either investigate or review the investigations of many of these cases firsthand. Later, as the assistant training officer for the Virginia State Police, one of my many jobs was to oversee all elements of the use of force training and to review officer homicides from around the country for training purposes. Of course, academically, I have taught as part of many courses the legal and tactical issues involved with use of force. It is critical that our officers are not injured on the job and go home safely at night. It is also critical that the citizenry be treated fairly. There is an old saying in police work that goes like this, “It is better to be tried by twelve instead of carried by six.” This saying is as true today as it has ever been. 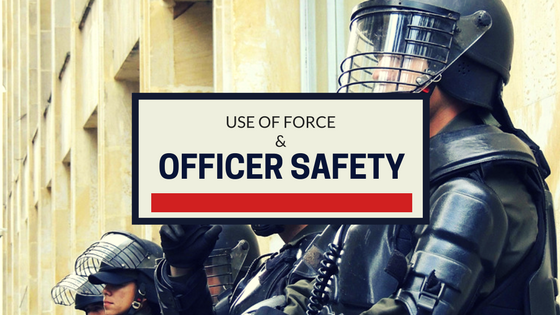 To watch the recorded webinar, “Use of Force and Officer Safety,” click here.